I have been nervous about this week in particular, for a while. Last week I had those three nights out which I knew would throw me off my weight loss game but this week would be virtually a write off as I was in Poland from Tuesday to Friday. I did go to the gym on Monday as usual and I planned to just try and be as sensible as I could with the choices for the week. I also decided to not weigh myself today because there really wasn't any point, as I've said before, I started this and I make up the rules. I absolutely refuse to get myself upset about any gain I have because it's just a sleigh ride to gaining weight again when you think "sod it" and eat your entire kitchen cupboards. I am always excited to get on a plane now as the seat belt reminds me of how far I've come with this. 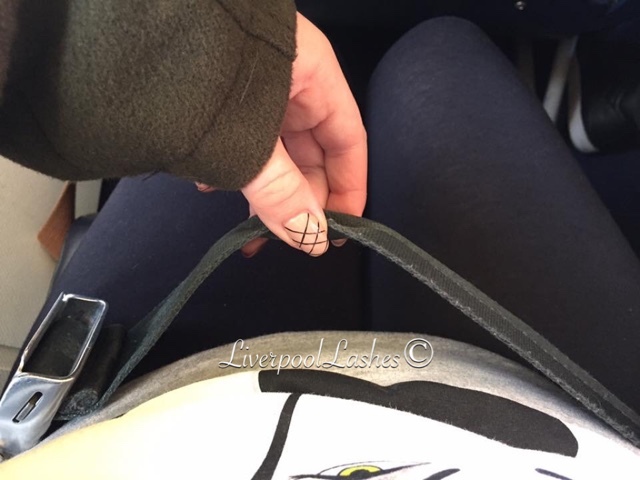 I wish I had a photo to show you of the "before" but at around a UK size 22/24 the plane seat belts barely fit. Now I'm not just saying that loosely, I'm talking that my husband would have to hold the belt and the fastener really tight to squeeze them together to shut it as I refused to ask for an extender. I also love that the overall width of my thighs and arms are a lot different and I can notice this in particular on a flight. Some planes my thighs would be so squashed into the seat that it would set off the light or assistance button if I moved. As my shoulders were a lot broader I would feel cramped with the people next to me so I definitely feel like I have a lot more space around me now. Poland was a really good trip. 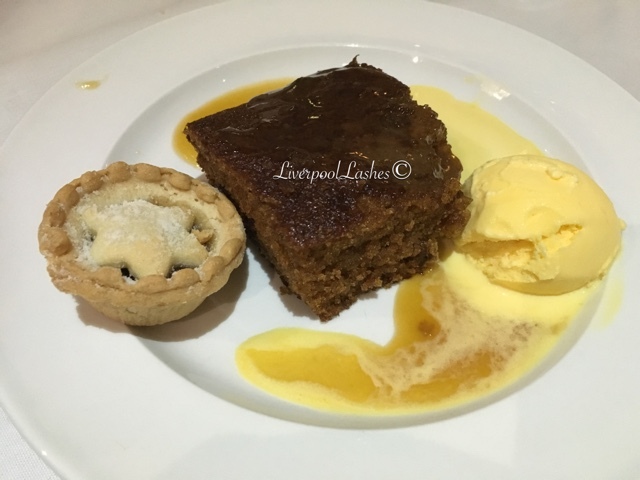 I tried to be sensible with my choices but I never want to feel deprived or that I "can't" have something so one day when I fancied having a dessert, I did! 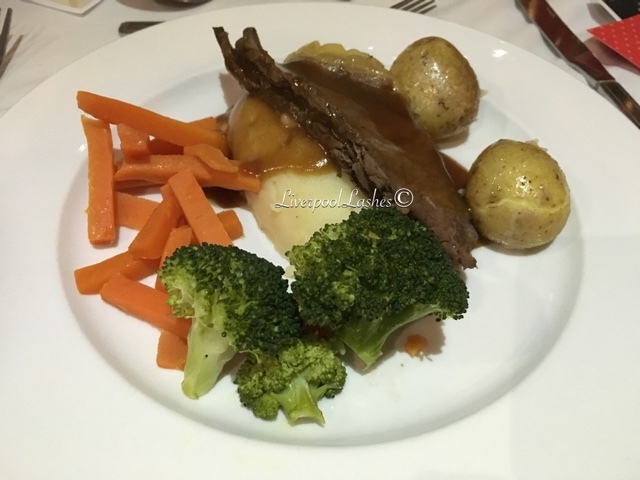 There was also an evening that we had a big lunch so I decided to stop by a supermarket and bought some fresh fruit to eat in our hotel room for dinner instead of forcing another big meal down. This photo above bears no relevance to weight loss but I was so mortified that I had to tell you, plus in all honestly, this photo makes me realise how much I've actually changed. The coat I'm wearing is new, a size 16 and I can barely believe it fits me. 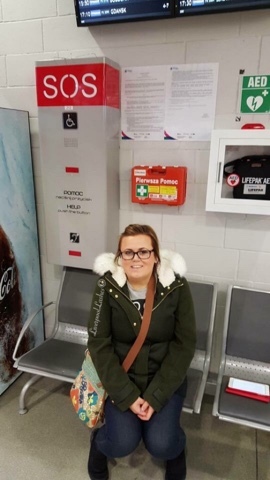 Anyway, so the photo was taken at the airport where in my wisdom, I sat down on the seat on the left which had an odd grey box above it which I thought was silly. I sat there anyway and leant my back against the box without reading it. I nearly died in shock which the red like started flashing and a voice came on who obviously either security or the police to ask what the emergency was! How embarrassing. On Friday we returned from Poland and I had been invited to Creative Academy+ Manchester's Christmas night out. 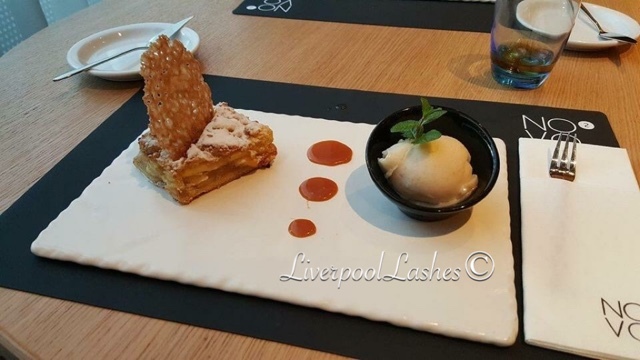 I had looked at the menu and apart from the dessert (and alcohol!) it looked like it would be a pretty good meal for me to eat. I wore a dress that I've had for a long time but it was so unflattering that I wouldn't wear it. It's really my clothes that make me realise the difference as everything fits and looks so much nice than it did before. 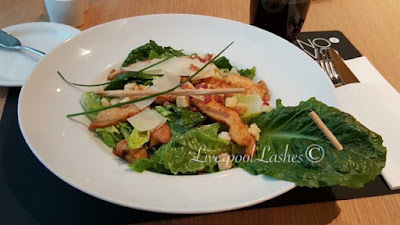 Before I left for Poland I was in two minds whether to return to the Slimming World plan to see if that would help lose more weight as I've been pretty much at a standstill for a while now. I like the principals of Slimming World and will just encourage me to keep the fat I'm consuming down where as calorie counting allows more for it of course. I'll need to think about it more but I think the plan of action this week is to try and do what I did at the start which is to use their principals but keep below my calorie allowance also. I was speaking to Julia Moran at the Christmas night out and she said something to me which made me think. 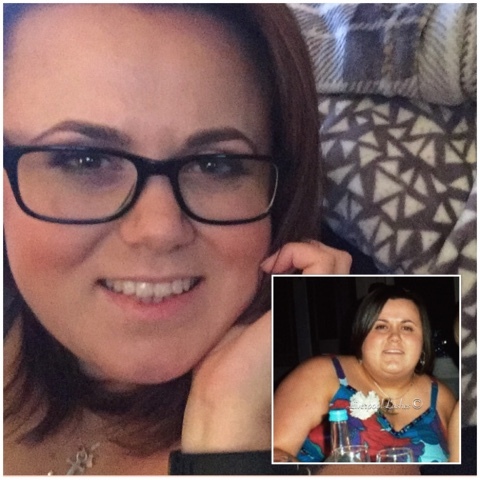 She said "I've lost one stone and I feel good so I can only imagine how you feel having lost nearly five stone." She's absolutely right, the feeling I have from this is incredible, it's a dream. I have wanted this for so long but I wasn't ready to do it and thankfully, now I am. I plan to consider actually going to the pool at my gym this week. This is a big step for me as I get into a bit of a state at the thought of being so exposed but we shall see if I manage it. Although I didn't officially weigh myself this week, I did pop on yesterday morning and it seems that if I put on anything it was about a pound so I did so well as that will be back off quickly. This week is an important week as it's the last big push before Christmas so I'm keen to see how I get on! Wish me luck!